Thoughts|| Harry Potter and the Cursed Child. | socially awkward bookworm. Goodreads Description: It was always difficult being Harry Potter and it isn’t much easier now that he is an overworked employee of the Ministry of Magic, a husband and father of three school-age children. While Harry grapples with a past that refuses to stay where it belongs, his youngest son Albus must struggle with the weight of a family legacy he never wanted. As past and present fuse ominously, both father and son learn the uncomfortable truth: sometimes, darkness comes from unexpected places. There’s been a lot of mixed reviews and feelings on this 8th Harry Potter story. Some people love it and others just plain hate it. You have to go into this book knowing a few things and number one being that it’s a script. There’s not going to be a lot of explanations of things. You’re not going to get a ton of information and you have to really create everything in your head yourself. I know a lot of people were complaining about how it was a script. It tells you it’s a script right on the front cover of the book. The old characters are not completely similar to how they were in the other books. You have to remember that in this story, they are grown up now. They are married. They have families. Harry Potter is 40 years old, so of course he isn’t going to be like the same kid he was in the other books. People grow up. People change. When you have kids in real life, I’m sure that changes a person too. So the characters are not going to be the same as you read them before. It’s also fast forwarded to when they are all older, so you don’t get to see what their lives were like leading up to the events in this story. Another thing, this script is based on J.K. Rowling’s story. She didn’t write this script. Things aren’t going to be exactly like the other books. The writers of the script can’t jump in Rowling’s head and get her characters perfect. It’s basically the same idea when Hollywood producers and script writers take books and turn them into movies. They aren’t going to be exactly the same. There are going to be added things in this story that weren’t in the other books, but you have to remember…the world changes as the years go by. Is our world the same as it was twenty years ago? No. So you really have to go into reading this book knowing all of these things. I personally loved the book so much. I loved the story. I loved being back into this magical world. I loved getting to read about some of my favorite characters and meeting some new characters that I absolutely fell in love with. Albus Potter and Scorpius Malfoy’s friendship was one of my favorite parts of the story. It was a fast paced read and I’m sure that’s because of the format of this book. I laughed a ton. I even cried a whole lot more than I ever thought I would! I thought it was an awesome story. If you’re hoping for something exactly like the other books, you’re going to be disappointed. You need to take this script/book as it is and enjoy it for what it is. I thought it was a perfect edition to the Harry Potter series. 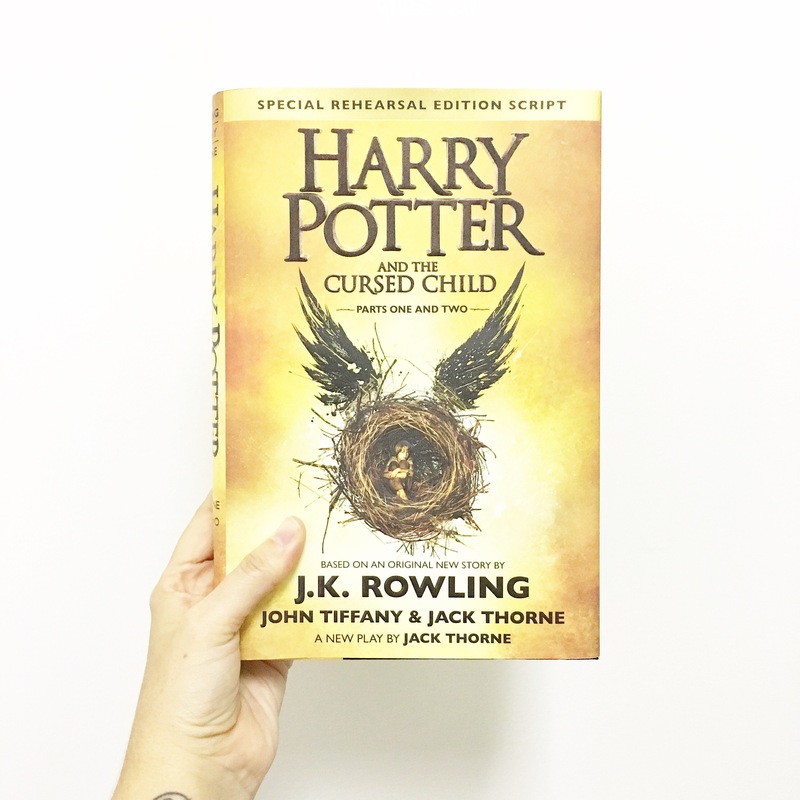 What are your thoughts on the Cursed Child? If you haven’t read it, do you plan to? 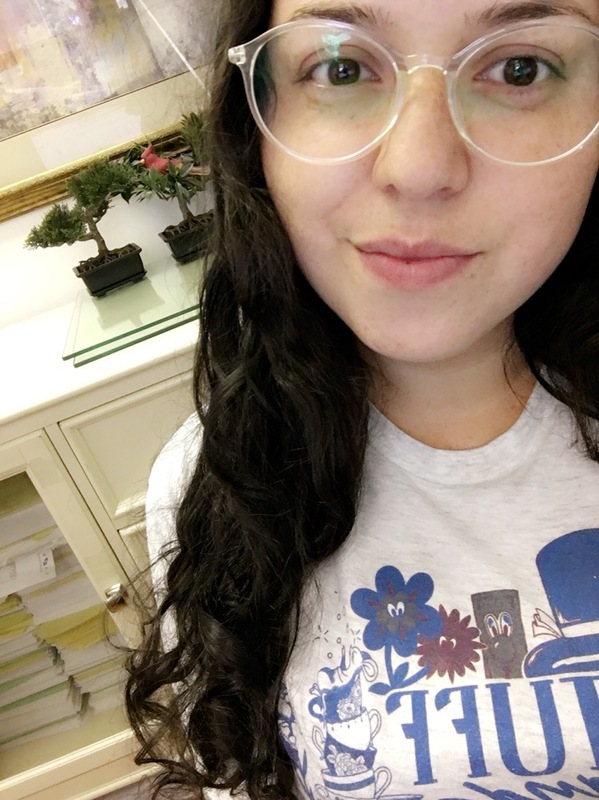 I hope you are having a great weekend! I can’t believe it’s already Sunday. I am praying today goes by as slow as possible! I am not ready to go back to work tomorrow. I am off to read Stealing Snow by Danielle Paige. I hope I love it as much as I do the Dorothy Must Die series! ← Thoughts|| It Ends with Us. Pingback: Thoughts|| Every Exquisite Thing. | socially awkward bookworm. I cried a few times too, glad to hear i’m not alone lol! If you’re interested, I wrote a blog post journaling all the thoughts I had while reading, feel free to check it out! I haven’t read the book yet! (And I should certainly stop reading reviews about it before I read it)! Thanks! 😀 You should definitely read it!